It is one of a spectacular work of a man named Bill Webb - the man behind the garage Huge Design in the automotive world two wheels globally. 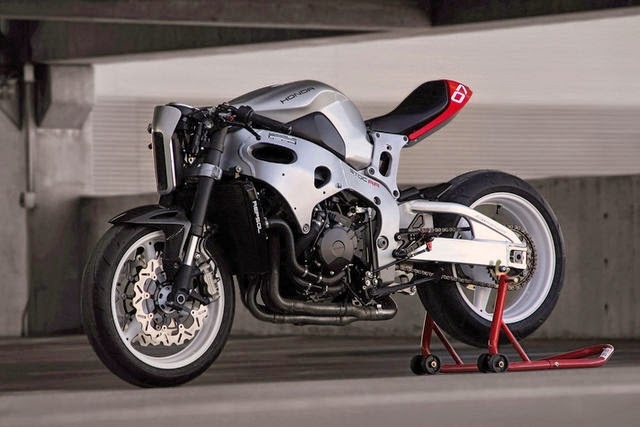 By carrying a motorcycle from Honda CBR1000RR that now appear with a retro-futuristic style, with a blend of futuristic racer and street fighter. 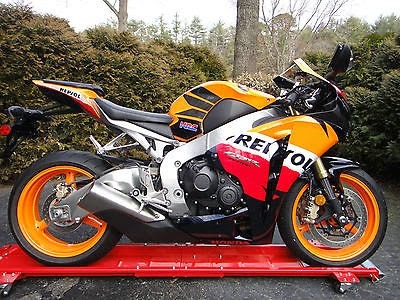 Honda CBR1000RR Repsol Edition 2009 has been transformed into a motor with a hang of the future. 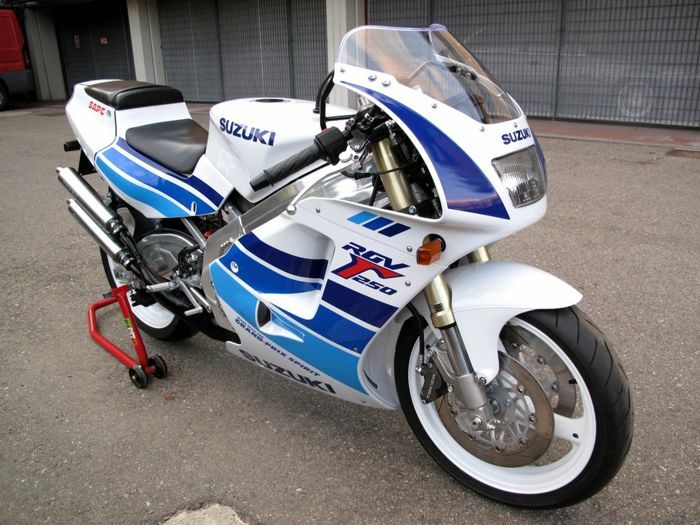 By using a myriad of high-tech devices are loaded ferocious performance seems to have no doubt of one of the line-up of Honda's sport bike manufacturer. Not much in the modifications to the engine, Bill was trying increase advance performance in the form of a very classic but modern. 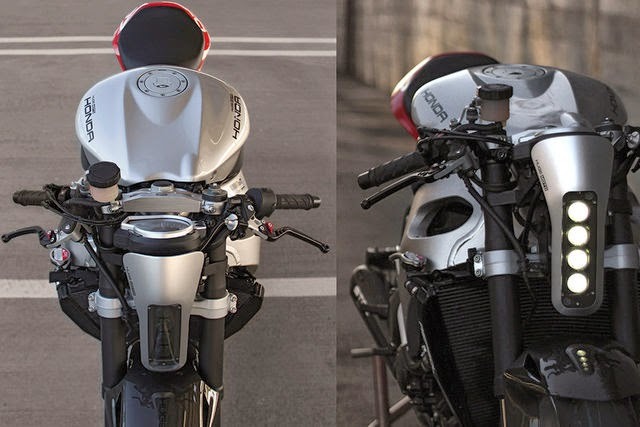 Like the body of a cafe racer and street fighter, and on the stern or commonly called sub frame refers to models of single seat tail. 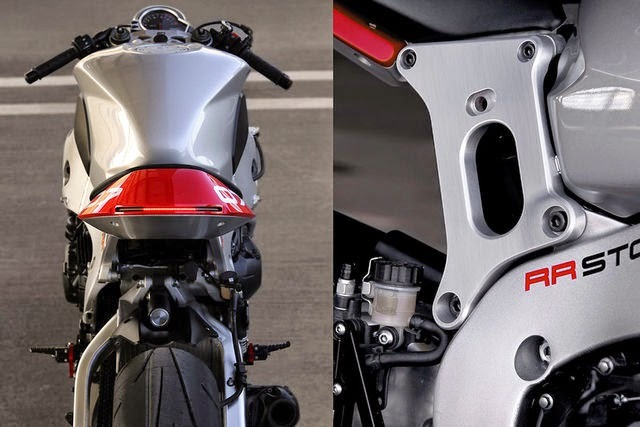 For the fairing is made in a minimalist design with dimensions that can be said to be "very minimal", just enough to cover the amount of this CBR1000RR engine. Mainstay of the Bill is, the manufacture of parts using CAD technology engines (such as CNC machines) - are able to make a much more precise result and looks very neat. Using lightweight materials such as aluminum became flagship for reducing the weight of the motor which in general does have more weight. 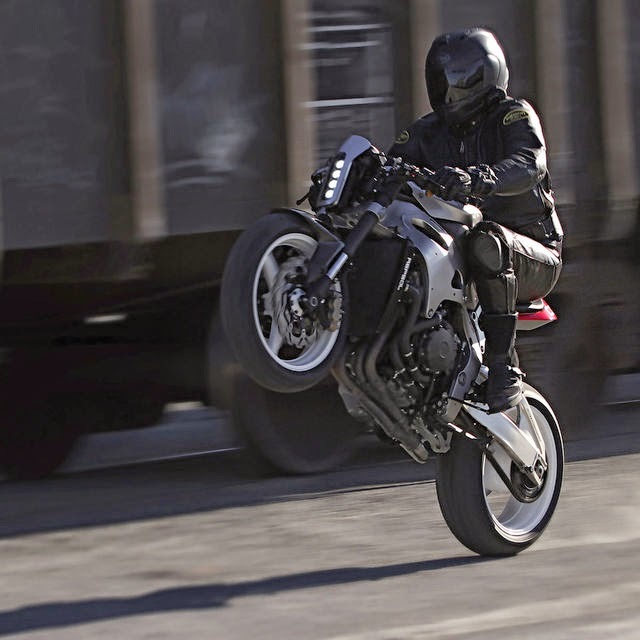 The reason is the desire to push performer in terms of both the engine and riding performance.